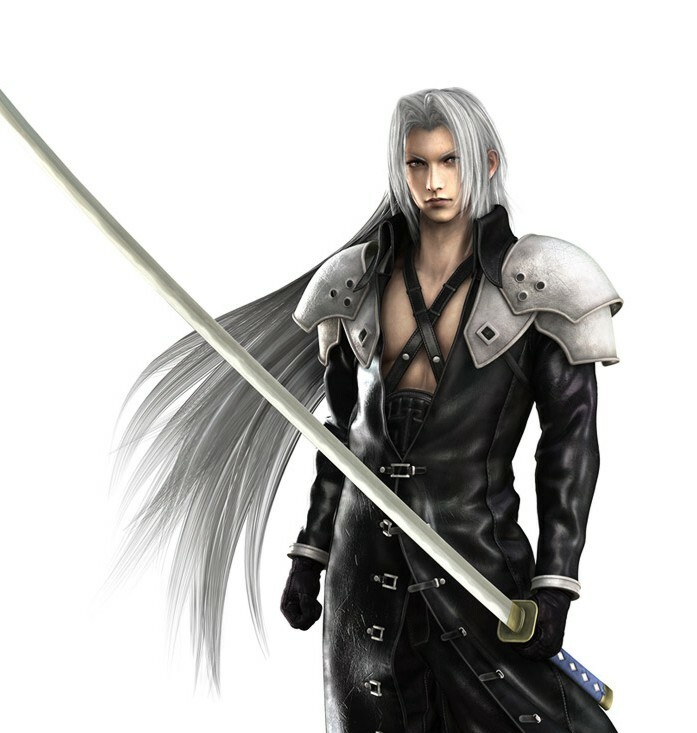 I am having a very nice real leather Sephiroth Costume being made and I want some really good professional looking shoulder pouldrons to go with it. 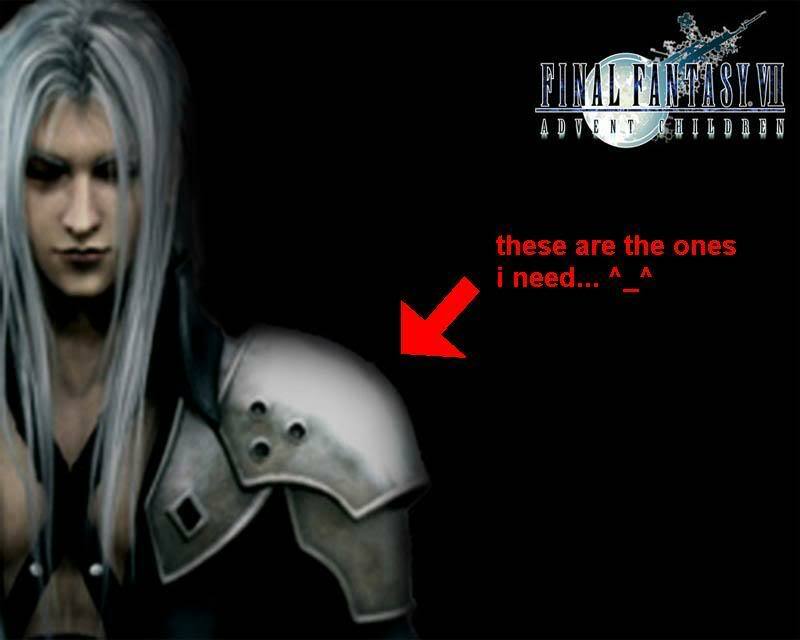 Are there any professional armour makers that can make really good metal looking shoulder pouldrons? There is no huge rush at this time because I need them for next year, but I am starting to look into it now. better safe than sorry. Is there anyone that can do this or can point me in the direction of someone who can? I have looked on google but can not find anyone. Otherwise, you could post your query on the Armour Archive forums and see if there's someone interested there... large community of amateur and professional armourers. that being said aluminium is easier to shape, and is generally cheaper. The problem with steel pauldrons for this sort of costume, IMO, would be them staying in their intended position - the leather coat to which they seem to be affixed, appears to be open in front, and the weight of the pauldrons would tend to drag the suit down... unfortunately, (or fortunately, depending on the point of view) game designers in general and costume designers especially are not really confined by laws of gravity, so those who want to recreate videogame costumes face a lot of problems. I would suggest to go by either very, very thin steel over some sort of basic form made of lightweight but sturdy plastic, or by aluminium. 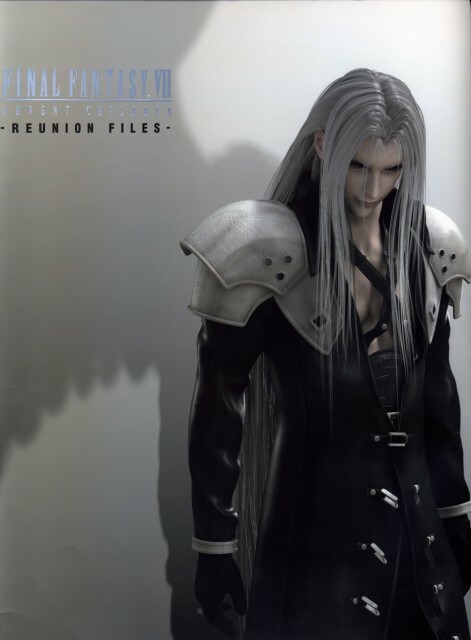 From a picture the OP sent me, apparently the pauldrons are separate from the long coat; they sit on the shoulders and there's a flexible connecting piece between the shoulders in the back. After that, there's straps that go around the body (?). I personally think they would look better with a couple of point ties, but if it's what he wants. In practice I think a couple of snaps are called for, under the first lames perhaps so they're not too conspicuous. I agree that aluminum would probably be more suitable for this job than steel... as I observed to him, the large bowls over the shoulders are the hardest part and may need to be done in sections welded together and cleaned up rather than raised in one or two pieces. The rest of the lames are pretty simple.